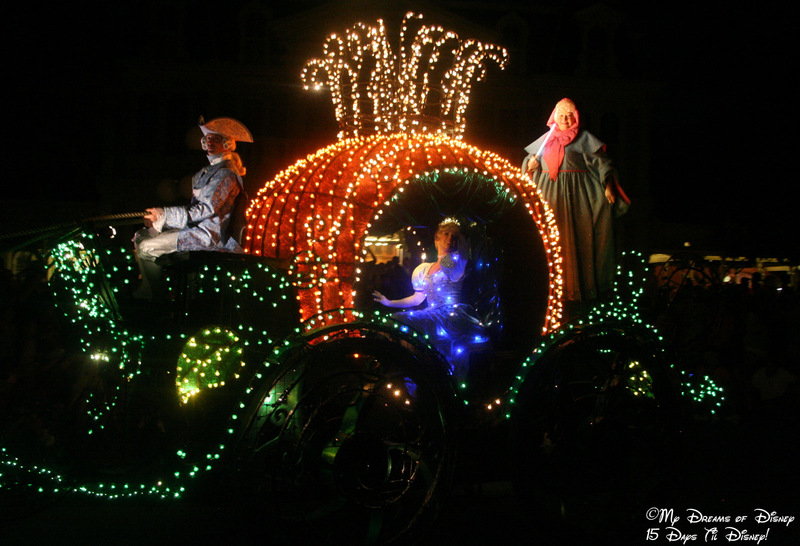 Cinderella's Carriage - 15 Days Til Disney! Stephanie, Snow White, and Sophie – 8 Days Til Disney! Wordless Wednesday — First Footing, Disney Style! Monorail Memories – 22 Days Til Disney! Very pretty! And wow! 15 days?! I'm excited for you! So beautiful! They are all looking right at you! I love this parade. I'm glad they brought it back for awhile. How exciting to be leaving in only 15 days! WooHoo!! I love that part of the parade. Great shot! Thanks everyone! I hope they keep the Main Street Electrical Parade forever, it is one of my favorite parades! Previous Post: Blogs to Check Out – Meet The Magic! Next Post: Blogs to Check Out – Growing Up Disney!